Horses are beautiful creatures that are known for their majestic gait and impressive galloping speed. But unfortunately, many horses in Romania aren’t free to run as fast as they’d like. In Romania, it’s common for people to chain together the horses’ front or hind legs to stop them from running away. But these chains can be very painful, and they often cut into the horses’ skin. When a veterinarian with the animal welfare organization Four Paws International saw a horse with his legs chained up, he decided to set the animal free. When the horse saw the veterinarian approaching him, he tried to run away. After being chained up for so long, he had learned not to trust humans. But the veterinarian, Ovidiu Rosu, carefully approached the horse, showing him that he meant no harm. Eventually, the horse stopped moving and allowed Rosu to cut the chains off his front legs. 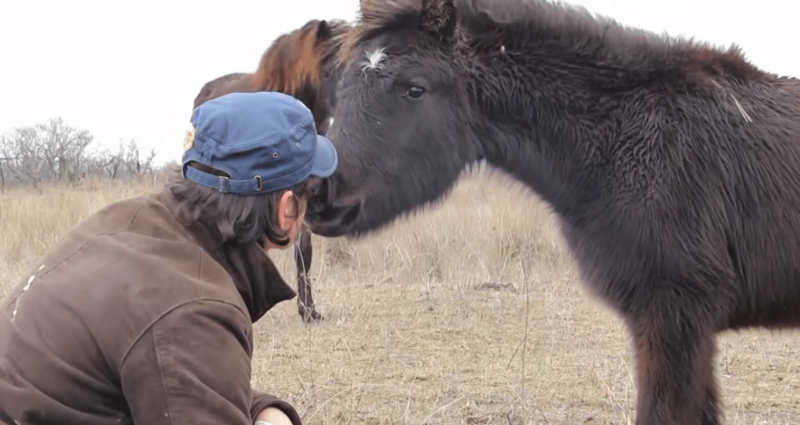 As the horse was recovering, a member of his herd went up to Rosu and touched noses with him. It was the horse’s way of saying thank you for helping his friend. 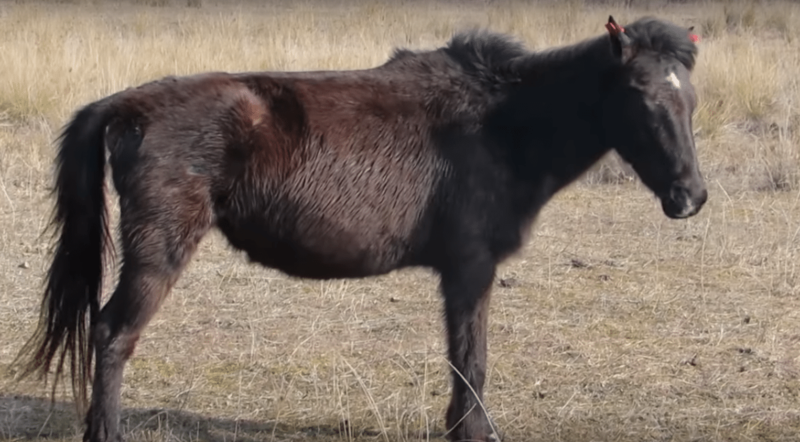 For years, Four Paws International have been helping the wild horses of Romania’s Danube Delta. These horses were first brought to Romania around 300 to 400 years ago by the Tatars. The Tatars left many horses behind, and they started roaming freely through the area. Many horses were also set free in 1989, after the agricultural cooperatives in the area broke apart. This led to a huge population boom—by 2010, there were as many as 1,500 horses living in the Danube Delta. The horses began entering the protected Letea Forest to find food, and they started eating plants and bark from the trees. Environmentalists and authorities in the area needed to control the horse population, so they decided to kill the horses. Thankfully, Four Paws International stepped in before they could take this drastic step. Four Paws International said that they would provide contraceptives to mares to control the horses’ birth rates. The environmentalists agreed to this solution. Four Paws International’s plan worked well—in April 2017, they did an aerial census and found there were less than 500 horses in the Letea Forest. In the past few years, Four Paws International has actively worked in the Danube Delta region. Between October 2016 and April 2017, they vaccinated and boostered 85 mares. They also distributed 30 bales of Alfalfa in winter. They have also freed many horses from ingrown chains, like the horse in the video. 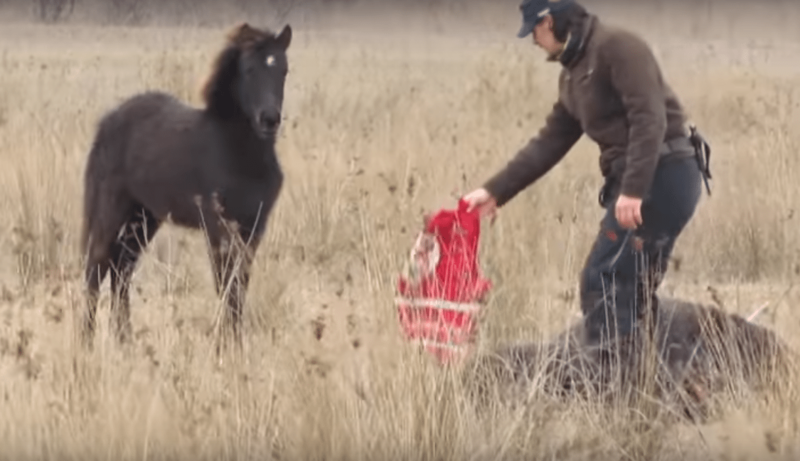 Rosu and his team did amazing work helping a poor, injured horse escape its chains. 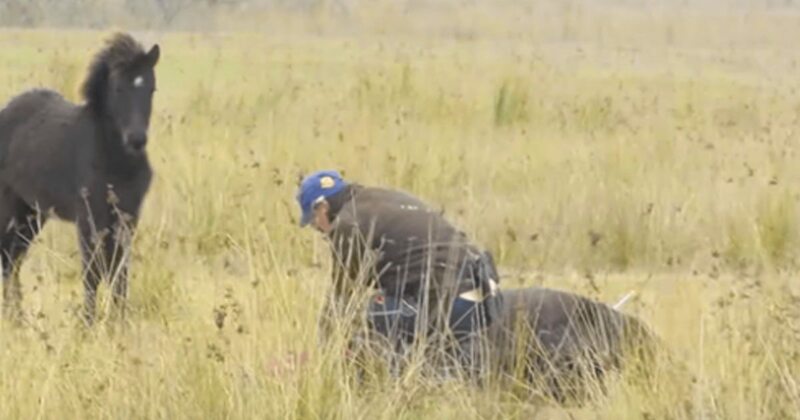 Watch the whole horse rescue in the video below.